What a gorgeous pile of onions! Any watercolor artist would relish the challenge of capturing the way the purples shade so gradually into white and then back into purple. The shocks of rootlets, like unkempt hair, contrast with the smooth roundness of the bulbs. 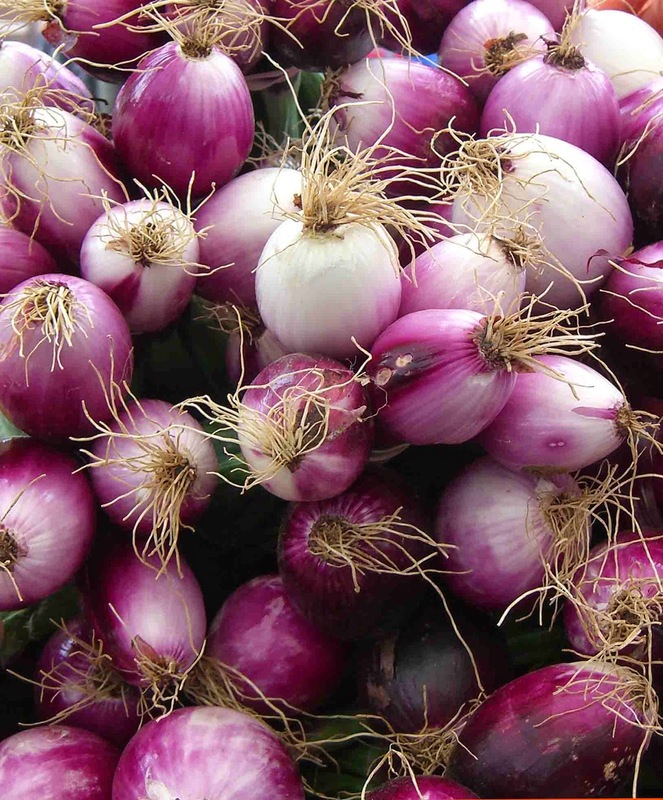 We could argue that they really should be called purple onions, but I am not the Official Namer of Vegetables. Instead, I will just enjoy the beauty to be found in humble things.